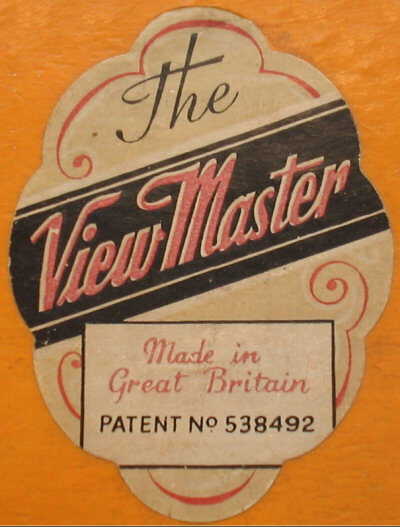 The View-Master Model B was produced between 1944 and 1947. 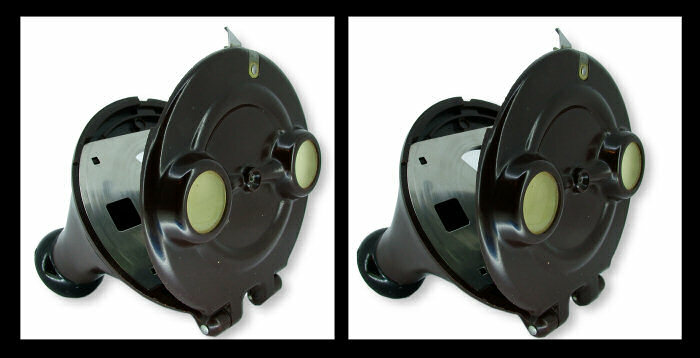 It was made from bakelite, which overcame the warping problems associated with the Model A and, similar to the Model A, opened up like a clamshell. 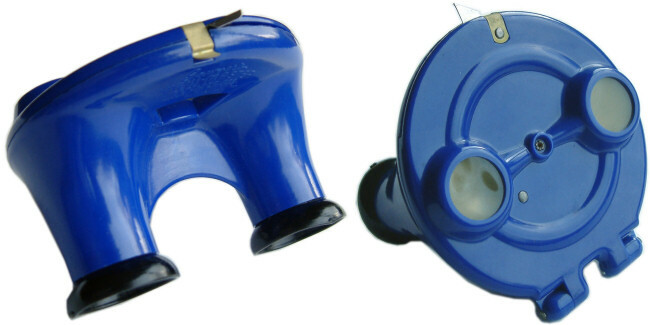 There are four colour variants available, black, brown, blue and rarest of all, a dual coloured black and blue version (the front was black and the back was blue), but all have black eyecups. 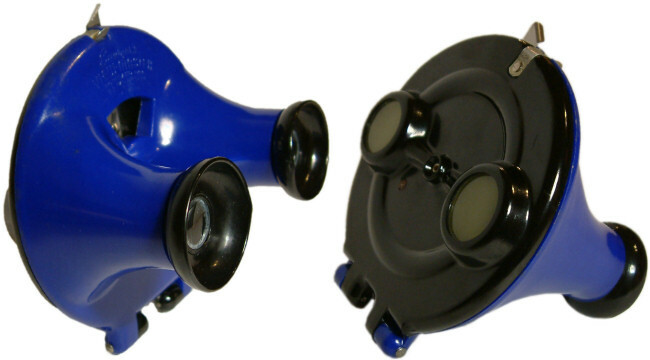 The black and blue variant is probably the most valuable of all View-Master viewers ever produced. 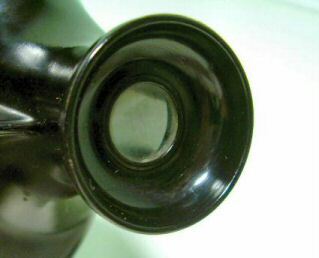 The USA version had round eyecups. 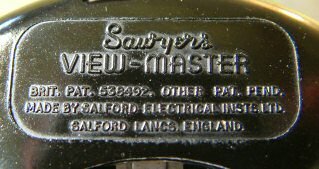 There was a much rarer UK manufactured version, that can be easily identified by it's flared eye-pieces and was made in Salford, near Manchester by Salford Electrical Instruments Ltd. It was only ever available in black. The UK viewers British patent number was 538492. The glue that originally held the eyecups in on these viewers has invariably perished with time. Common fixes are to use a modern epoxy glue (which will reduce the value of the viewer!) or to wrap elastic bands around the lens barrels and twist them back in. Using elastic bands is the preferred method as the lenses can still be removed if they become contaminated with dust or dirt. An example of a rare Mahogany Brown Model B. 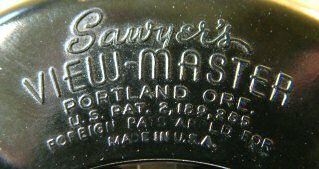 This unusual two-tone model is considered by many collectors to be the rarest View-Master of all, very few are know to exist. 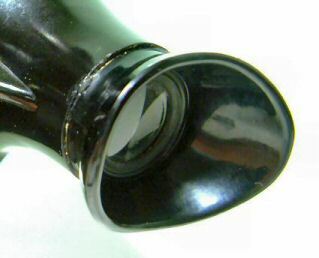 The Blue/Black version of the Model B was manufactured at the very end of the Model B's production run in late 1947, when the plant assembled whatever parts were left over to use up stock before the launch of the Model C. All these viewers had black eyepieces. Whilst not the rarest of Model B's, it is very hard to find. 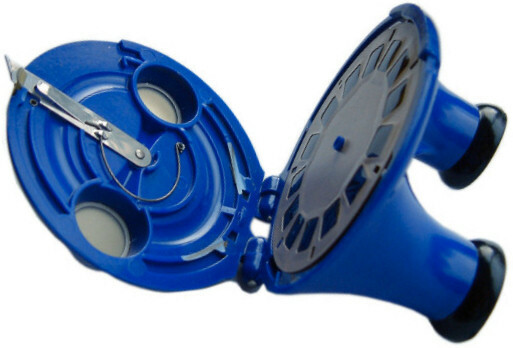 The all blue bakelite viewer is one of the most sought after of all Sawyers viewers and always commands high prices. These viewers were supplied in a brown box with gold top. 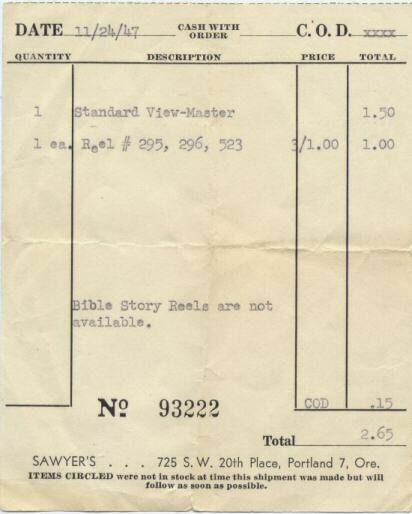 The box top sports a logo which reads, "Sawyers View-Master - Third Dimension Pictures in Full Color Kodachrome - Sawyers Portland Oregon". "The WPB was the US War Production Board who issued orders controlling all strategic production during WW2. 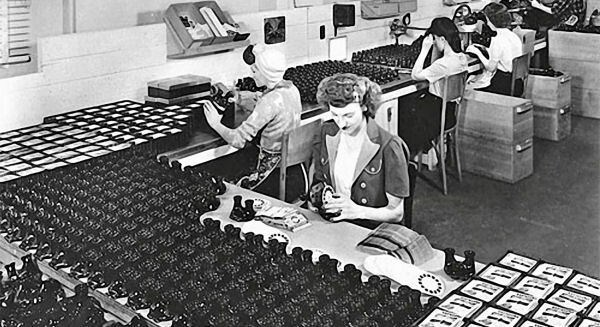 Most orders were made in 1942 as the USA geared up for war production. The number L239 would indicate a 'limitation order' to control a strategic material. This would, most likely, have been wood pulp that was used in the production of the 'library box'."